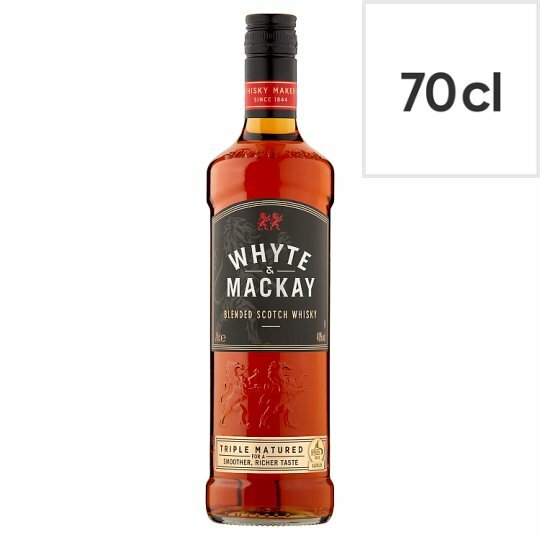 Triple maturation is the secret behind the award-winning taste of Whyte & Mackay. Firstly, the finest single malt whiskies, each individually matured for many years, are carefully selected by our Master Blender. Next, they are combined in sherry casks and matured once again to attain a perfect harmony of flavours. Finally, the blended malts are mixed with aged grain whiskies and returned to cask to mature even further. This dedication to the art of blending creates an extra smooth and richer tasting whisky.